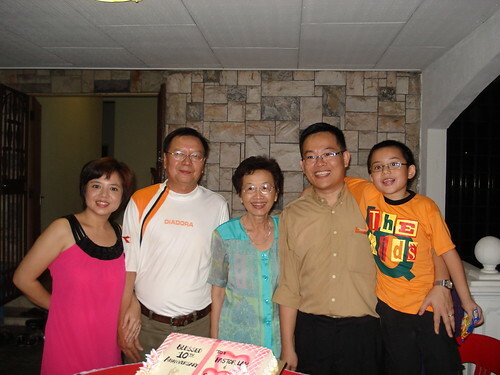 En route to Taiping, spent one night in Ipoh to celebrate my sister in law’s 10th wedding anniversary. Good food. Fried chicken was good. 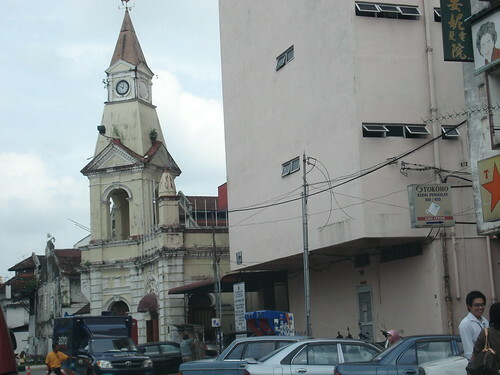 Then next morning off to the Taiping, town of Everlasting Peace. I’ve heard a lot about it being famous for old uncles and chee cheong fun, but its a very nice and laid back town, although SOME of the drivers seem to drive like Penangites! 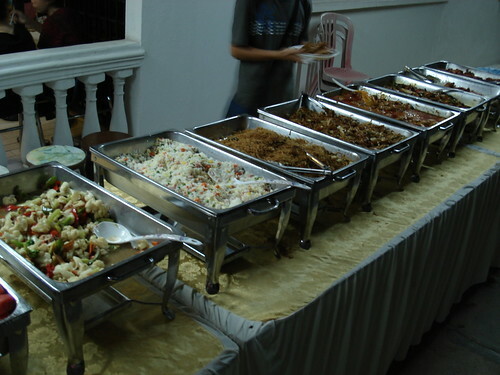 Didn’t take many shots of the food, though, due us being too hungry. 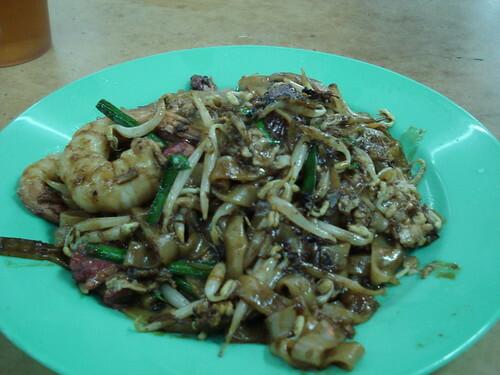 But this is delicious char kuey teow. Only RM2.80! With giant mutated prawns!!! Very delish. 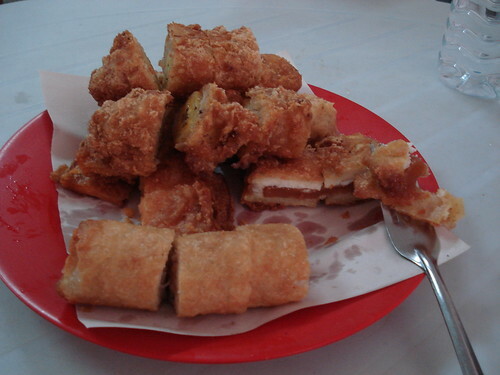 There’s this Chinese shop selling only fried stuff – goreng pisang, goreng lin-gou, goreng popiah, etc. Strangely the shop also sells handphones. Next morning, its up to Maxwell Hill. 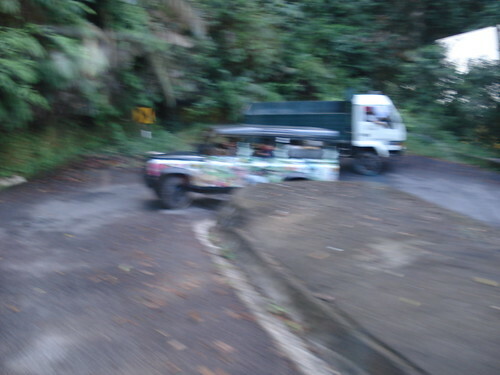 Trying to take a shot of the landrover behind us, while speeding up the steep hill. 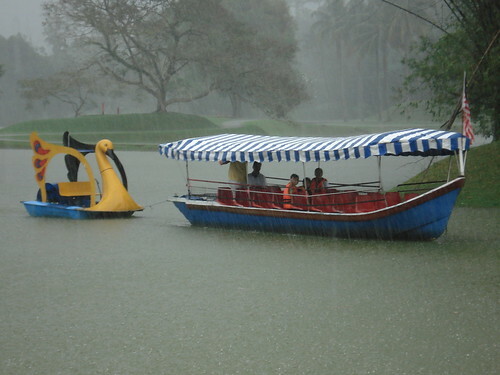 The bumpy ride is definitely an experience everyone should try! That’s me doing the ‘tou san’ look. 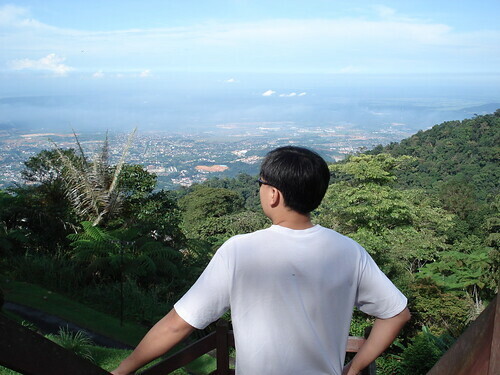 Looking down on to Taiping town from atop Maxwell Hill. You can even see the coastline to the Straits of Malacca. 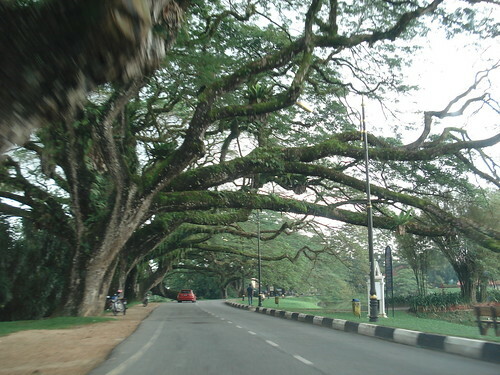 Oooh…looks like a trip to Taiping for me should come soon then. Can’t imagine all the older folks climbing up the hill….not too nice if they are using the road as well…do they? actually, they know how to step aside when the speeding landrover passes by, buts its quite narrow and dangerous at some bends. Seems like the drivers know everyone who’s hiking up! Hhhaaha…. i like your last picture. Looks like “God of Gambler” pose. dropping by to say Yo and thx for the nang, appreciate it. Nice blog here. Hey, got go and see those Tulips in Maxwell Hill? 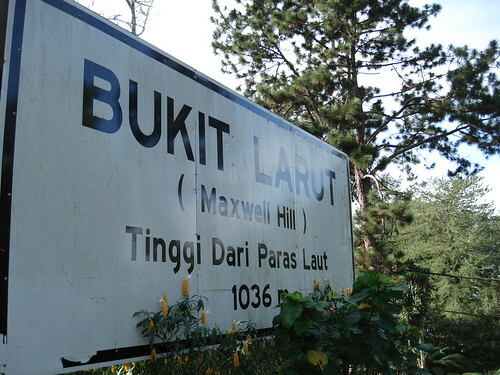 izzit in Maxwell Hill? I wanna go holiday also…. marcus – no prob, man. thanx for dropping by. ponytail – yeah there are tulips in maxwell hill, but its off season now. this is bad..so hungry now. like the last pic……..so you! Nice site. Lets share link man.